The knots look complicated, but they're really not. Promise. 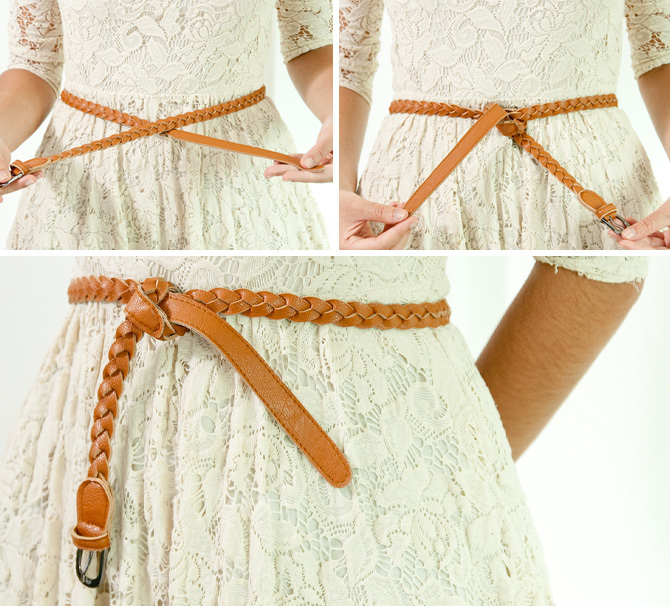 Instead of putting the belt inside the buckle, why don't you just do a double knot? 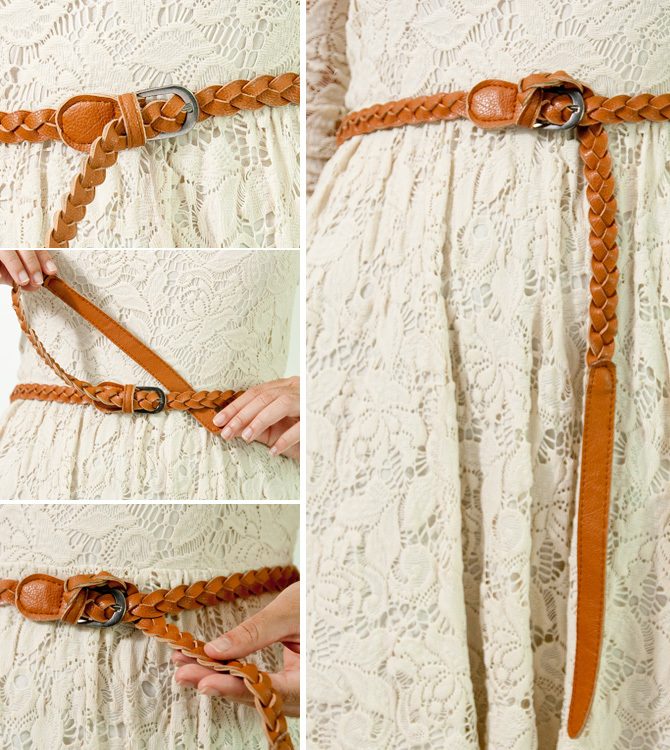 Wear your belt the way you normally would—except don't insert the tip through the leather strip. 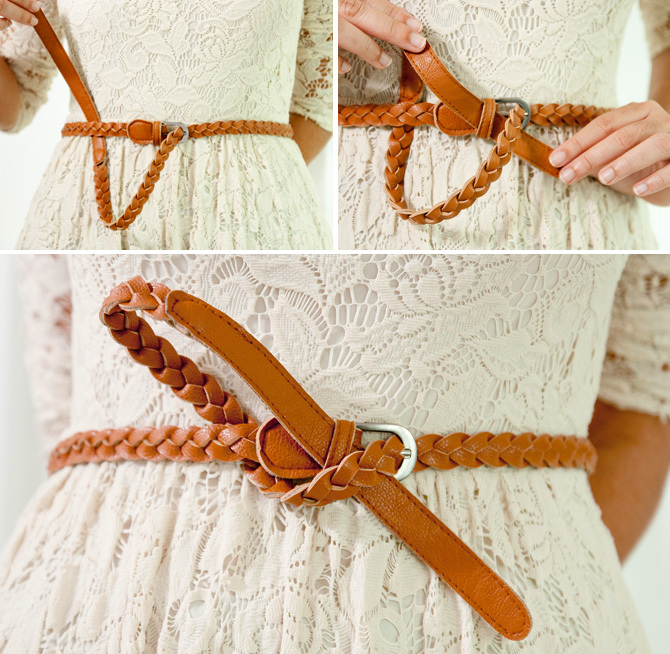 Grab the edge of your belt, tuck it under, and then put it through the leather opening. You should end up with a half-ribbon after. Wear the belt like you normally would. Grab the tip, and loop it back up—inserting it on the other side. Pull the belt all the way through.